There are three different areas you can aqua blaze i.e. avoid the trail by watercraft. Prior to my own experience, I had mixed feelings about aqua blazing because technically the miles don’t count towards a thru-hike and a lot of hikers frowned upon it. But, I aqua-blazed through the Shenandoah River heading NOBO and it was the perfect Trailcation. At the time, my plantar fasciitis was killing my feet and the two days of canoeing was the rest they needed. Most importantly, it was fun. And, I’d even recommend giving it a try.We hit the Shenandoah with the essentials- a full pack, water, food and beer. We paddled over forty miles over two and a half days, getting to experience Shenandoah in a different way. Honestly, it was an arm workout but at least my feet/legs had a break. Roses: By aqua blazing, I was able to try something new- an overnight canoe trip! I’d never done this before so was able to check another thing off the bucket list. Also, I thoroughly enjoyed sunbathing and working to minimize my backpack, hiking skort and sock tan line. Plus, I needed a break. At this point in my thru-hike, the twenty plus mile days everyday started to seem like a task. This break let me recharge and put me in a better mindset to hike. 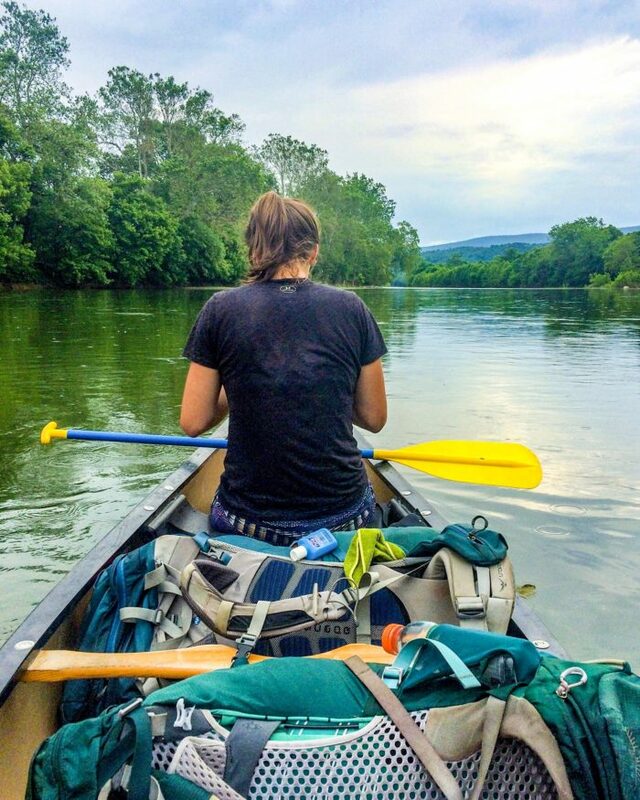 Thorns: Aqua Blazing is an additional cost to rent the canoe and gear for floating down the Shenandoah. The price depends on the number of people and canoes as well as days spent on the river. Additionally, you miss miles on the Appalachian Trail by aqua blazing. You may even get slack from other hikers. One option is to hike the missed section and shuttle/hitch back. Another option is to skip it. Hike your own hike. For Trail Days, we had the pleasure of staying at The Montgomery Homestead Bed and Breakfast in Damascus Virginia. We intended to stay for two days and ended up there for almost five. Whoops. Leading up to Damascus, we had almost a month of rain, our gear was constantly damp so the chafe game was strong and our shoes were literally falling apart. We were in need of some TLC. Then, we found Montgomery Homestead and the kind and Grandma-esque owner, Susie Montgomery. Ms. Montgomery’s B&B’s cotton sheets, hot showers and piano room, where we played and sung to musical tunes was an incredible experience. We had beds to sleep on, wifi to use and an actual weatherproof roof over our heads. It was perfect. Sunshine’s video captures our Damascus Trailcation, watch now! Roses: An Extended Town stay doesn’t have to be in Damascus Virginia and can be where you need it. Whether it be on camp ground, hostel or hotel, sometimes staying in one place to recharge is beneficial. Listen to your body. Taking a few days rest is no big deal in the scheme of 2,184 miles. For example, I was fortunate enough to have family and friends who lived within driving distance of the Appalachian Trail . These angels whisked us away whether for the day or a night, hosting us in either their homes or joining us for a hike. 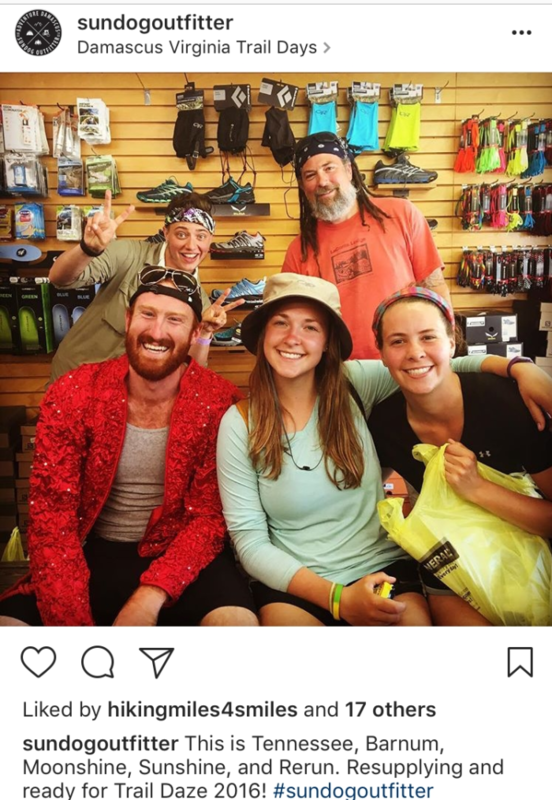 Thank you to all the trail angels for showing us kindness, hospitality and supporting us in our trek from Georgia to Maine. Another option to consider is taking a zero on the trail. Soak up the sunshine, drink fresh water and get in touch with nature. Thorns: If you’re having a tough time on the trail, towns can be dangerous. I’d find myself not wanting to leave and missing the comforts of civilization. Give it two or three days and head back to the trail, knowing another town isn’t too many miles away. And, if you’re having a really hard time and don’t want to return to the trail, call a friend, talk to another thru-hiker, look for reasons why you can and not for why you can’t. 3. Did you know your tent is basically a vacation house? 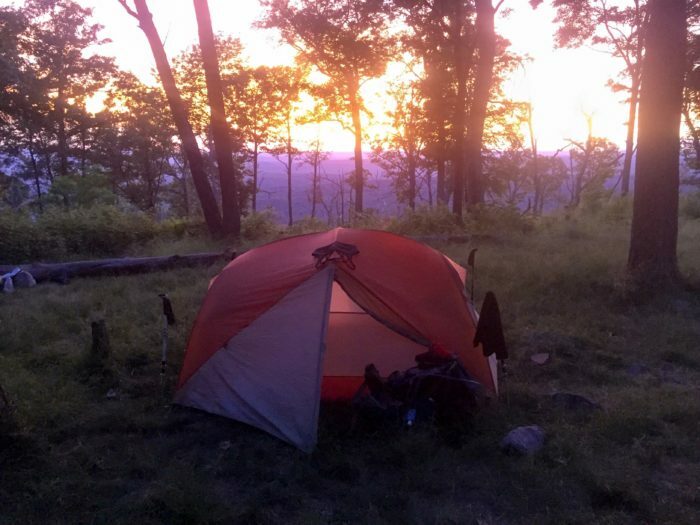 Yes, the Appalachian Trail offers five-star views with tenting accommodations. Talk about Mountain and Lake Front real estate opportunities. I was excited about five months of million star views on the trail but I’m a home body. And, I knew I’d miss the comforts of home while hiking from Georgia to Maine. On the trail, I learned home is where you make it. For five months, my 44 sq ft tent was home. I remember the day it felt like I was unpacking my “house” and setting up my “mattress” and making “bed” aka tent, sleeping pad and sleep bag. All this considered, I found ways to make my very own Appalachian Trail Vacation House. People often say the trail is an extended vacation. To be able to hike every day, in the mountains, taking yourself from place to place is a privilege.I always think of the Appalachian Trail, or any trail for that matter, as a learning opportunity. Always remember to keep the big picture in mind and focus on the positives. If you treat everyday like a vacation full of endless opportunities then the world’s your oyster. Such an awesome post!! And after reading your bio, thank you so much for all you do! Hey there, thank you for the kind words and support! 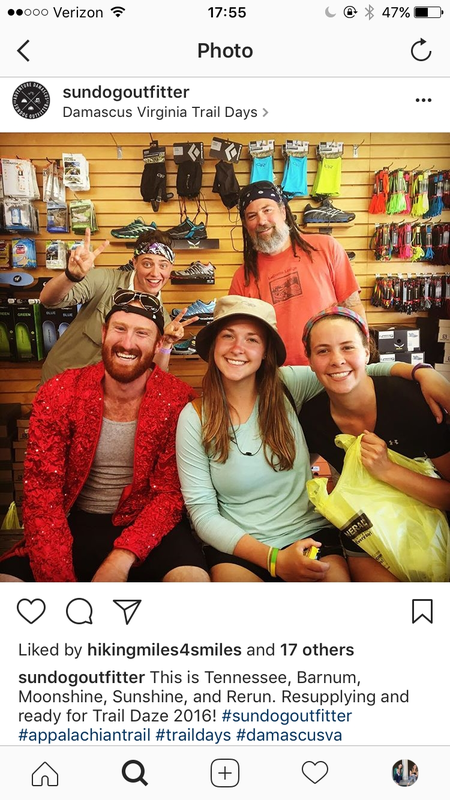 I used Appalachian Trials as my go to resource before the trail and have had such a great time contributing!